Clean your deck and handrails to get the wood back to looking new again! 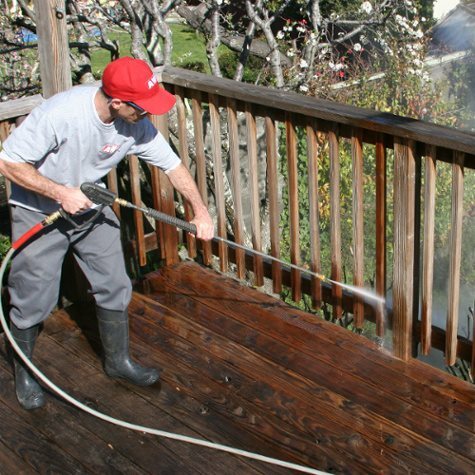 Depending on the job, we will use a pressure washer to get the debris off your deck, or use the Soft Wash method. Either way, after the cleaning process is complete, we also offer an additional service of sanding and sealing your deck and rails.